Pack the 27th (Tue) with family-friendly diversions at Walt Disney World Resort. Pack the 30th (Fri) with family-friendly diversions at Universal Orlando Resort. The adventure continues: find something for the whole family at Universal's Islands of Adventure, discover the magic at Happily Ever After Fireworks, cool off at Discovery Cove, and stop by World of Chocolate Museum and Cafe. To find where to stay, more things to do, reviews, and more tourist information, read our Orlando holiday planner. Tampa to Orlando is an approximately 1.5-hour car ride. You can also take a bus; or take a train. In November, daytime highs in Orlando are 78°F, while nighttime lows are 62°F. Finish up your sightseeing early on the 2nd (Sun) so you can travel to Niagara Falls. Step out of Niagara Falls with an excursion to Our Lady of Victory Basilica in Lackawanna--about 36 minutes away. There's still lots to do: admire the sheer force of Niagara Falls, immerse yourself in nature at Reservoir State Park, enjoy breathtaking views from Niagara Falls Observation Tower, and trek along Niagara Gorge Trail. To find where to stay, other places to visit, ratings, and tourist information, refer to the Niagara Falls day trip website . Do a combination of train, taxi, and flight from Orlando to Niagara Falls in 5.5 hours. Alternatively, you can drive; or take a train. Traveling from Orlando in December, things will get cooler in Niagara Falls: highs are around 38°F and lows about 26°F. Wrap up your sightseeing on the 6th (Thu) to allow time to travel to New York City. New York City is known for museums, nightlife, shopping, historic sites, and parks. Your plan includes some of its best attractions: explore and take pictures at Central Park, enjoy breathtaking views from Empire State Building, admire the masterpieces at The Metropolitan Museum of Art, and appreciate the history behind 9/11 Memorial. To see ratings, more things to do, where to stay, and other tourist information, use the New York City route planner . Getting from Niagara Falls to New York City by combination of bus and flight takes about 5 hours. Other options: do a combination of bus and flight; or drive. Traveling from Niagara Falls in December, expect New York City to be somewhat warmer, temps between 48°F and 36°F. Cap off your sightseeing on the 12th (Wed) early enough to go by car to Cape May. 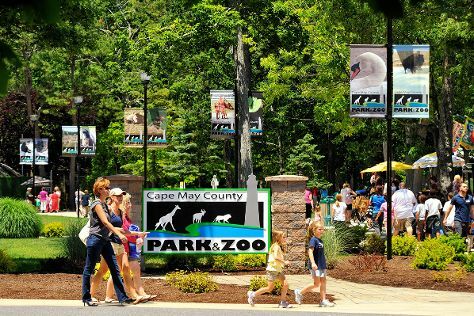 On the 13th (Thu), admire nature's wide array of creatures at Cape May County Park & Zoo, then enjoy the sand and surf at Cape May City Beaches, and then stop by Wildwood Boardwalk. Here are some ideas for day two: look for all kinds of wild species at Cape May Bird Observatory, tour the pleasant surroundings at Sunset Beach, and then learn about winemaking at Cape May Winery. Quickly create a custom-made itinerary for Cape May using our trip planner. You can drive from New York City to Cape May in 3 hours. Other options are to take a bus; or do a combination of train and bus. Expect a daytime high around 49°F in December, and nighttime lows around 35°F. Finish your sightseeing early on the 14th (Fri) so you can travel to Miami. 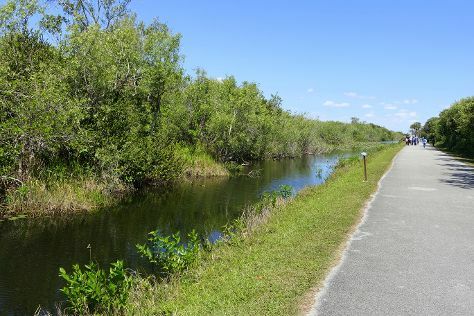 You'll find plenty of places to visit near Miami: Everglades National Park (Shark Valley, Slough Slog, & more) and Burr's Berry Farm (in Goulds). There's still lots to do: take in nature's colorful creations at Fairchild Tropical Botanic Garden, shop like a local with Lincoln Road, buy something for everyone on your list at Village of Merrick Park, and appreciate the extensive heritage of Art Deco Historic District. To find maps, reviews, other places to visit, and tourist information, use the Miami trip itinerary tool . Do a combination of bus, flight, and train from Cape May to Miami in 9 hours. Alternatively, you can do a combination of bus, flight, and train; or drive. Traveling from Cape May in December, expect Miami to be much hotter, temps between 81°F and 68°F. Finish your sightseeing early on the 17th (Mon) so you can travel back home.